Time to spice up your holiday parties with this Jalapeno Pepper Cheesy Bread recipe. Your guests will love every piece of it. Make sure to warn them about the Jalapeno ingredient as some people don’t like eating spicy. 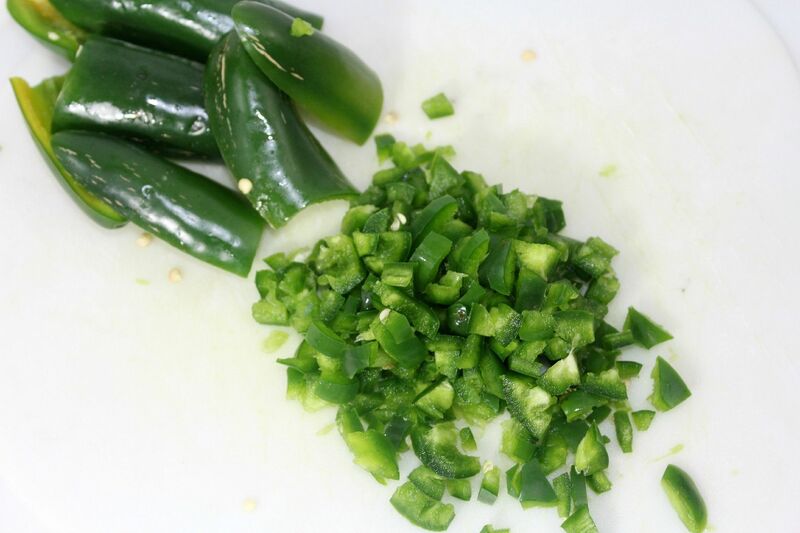 You can even bake 2 batches: one spicy and one without Jalapeno. The taste won’t be the same but you will please all your guests. 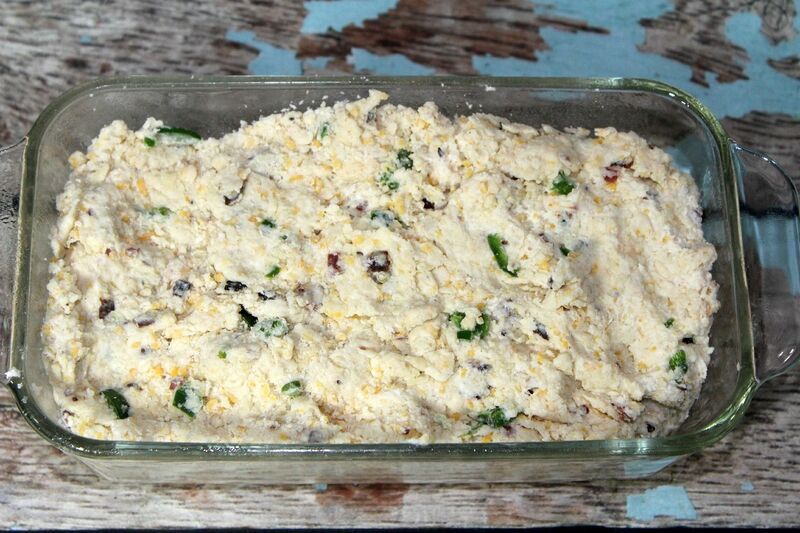 You don’t want some people left out, do you?Now let’s see how you can make this Jalapeno Pepper Cheesy Bread Recipe. Bake for up to 55 minutes. Check to see if done at the 45 to 50 minute mark. Cool for up to 30 minutes then remove from pan. Doesn’t this recipe look delicious? If you want to spruce it up, consider making this delicious spicy carrot dip. It’s to die for. Otherwise you can serve it with your soups and creams. You can make it ahead of time and store in an air tight container for few days. You can even freeze it for future consumption. Make sure to slice it before freezing though. While freezing is convenient, the taste may be altered when you thaw it. Do you like adding spicy ingredients in your recipes? Tell me. It looks delicious. I like that you used buttermilk in the recipe. I really like the sort of tangy taste that buttermilk gives to a dish. I may actually try this recipe since it does look pretty easy to make. I love the addition of the cream cheese to complement the jalapeno peppers. Looks like a delicious bread! 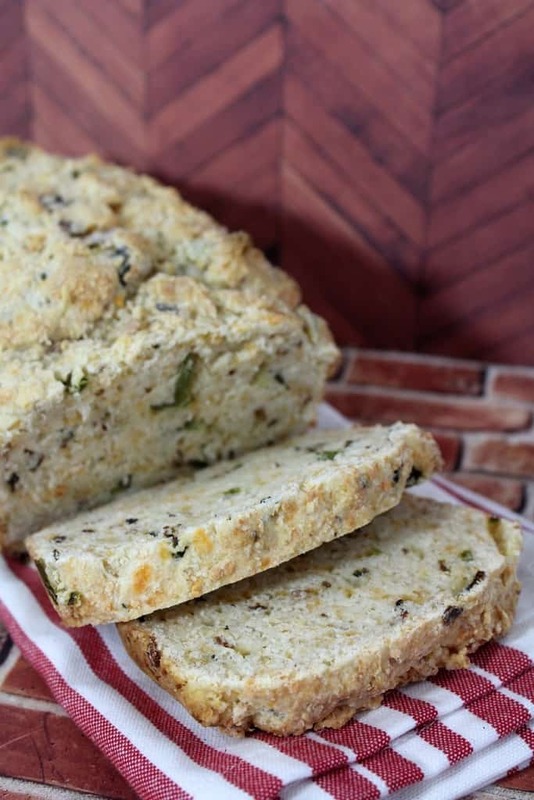 I bet this Jalapeno cheesy bread would be amazing with a big bowl of chicken tortilla soup! Thank you for sharing at Merry Monday! This is an awesome recipe! Thanks for linking up with What’s Cookin’ Wednesday! I love cheesy bread and this sounds like a nice twist on it. Yum! This looks delicious and easy to make. We love eating bread with dinner each night, so I’ll have to give this a try. My husband and son will love this bread. Thanks for sharing. This looks like it has a great flavor! I’ll have to try this recipe! This would be perfect to go with soup for a winter meal! I am not a bread-maker, but this looks easy enough, and delicious! Thanks! I’ve never made bread before but I think you just convinced me! It looks really good! I love anything made with the taste of jalapeno. Your bread looks fantastic! 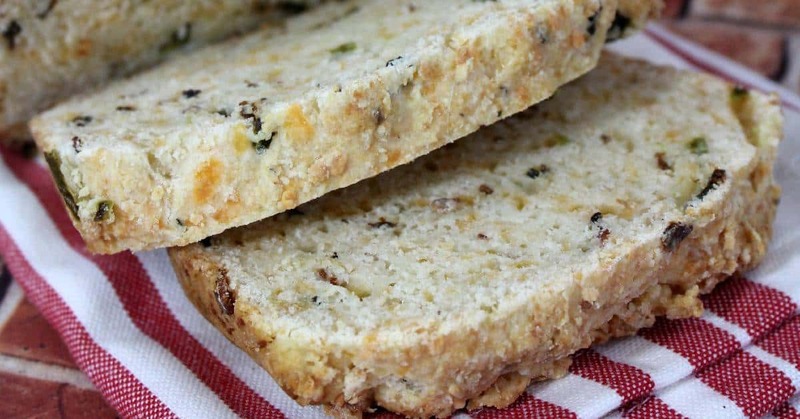 What a great idea to combine jalapeno and cheese in a bread like you did. My hubbie loves spicy stuff so I’m going to try making your recipe for him. I am the worst when it comes to making breads! I want to try this recipe out though! OMG, this looks amazing. I bet it tastes so good! I love spicy dishes! This sounds right up my alley! Oh yummy! This would be perfect for us. We’re all huge fans of spicy foods and this would make a great side for us! This looks like a delicious and easy recipe to make. I will have to add it to the shopping list for the week. I have never made Jalapeno Pepper bread before. My Son loves spicy food. I will have to make it for him this weekend. 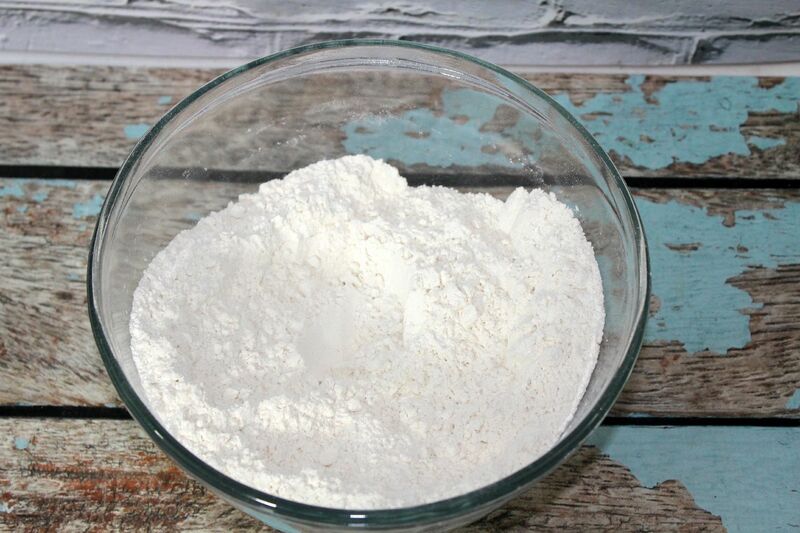 I have a very similar recipe I haven’t made in almost a year, in fact, it’s been too long since I made bread. The holidays are the perfect time! This looks great, and I would have never tried something like this without the walk-through. I’ll let you know how it turns out! Oh my goodness, my family goes crazy for jalapenos, yet I never thought of adding them to a bread. How cool. Thanks for sharing. I will be giving this a try. This jalapeno pepper cheesy bread looks delicious. It would go well with a savory spread. My husband loves jalapenos, so he would love this. it would be great with a cheesy soup or chili. Oh this looks so yummy! I can’t wait to try some! My husband and dad would love this..
Yum so good. My husband is a huge fan of jalapeno, so I’m for sure he would love this. Would be nice to make for him! As Texans, this is a recipe that we really like for when we have guests. Everyone expects us to make Texan food when they visit from out of state and this is so perfect. I am not a big spice gal. I have few friends that are this would be right up their alley. great recipe that I can’t wait to share with them. Yes, yes, yes!! This sounds all kinds of awesome. I can’t wait to make this. I’ve got to make this for my husband. My stomach can’t handle the spicy stuff, but he’d destroy that in a day or two. Wow this does look great! And that carrot dip you recommend would be lovely for a party! Thanks for this recipe! oh my goodness, this Jalapeno Pepper Cheesy Bread sounds amazing! What Can You See in a Single Day While Visiting Montreal?